Author Neil Gaiman and cartoonist Art Spiegelman talk about cartooning, writing, and friendship at Bard’s Fisher Center. 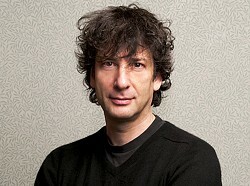 Gaiman writes mainly juvenile literature such as Coraline. Spiegelman is best known for his graphic novel Maus. Read Maggie Estep’s interview with Neil Gaiman and Amanda Palmer.